During the Edinburgh festival in August 1998 the Lyceum Theatre Company staged, ‘Life is a Dream’ by the Spanish playwright Calderon and received rave reviews from the press and theatregoers alike. The production was set on an open stage with a large 3x6m Rococo mirror, weighing in at 1,000kg, as the centrepiece of Calixto Bieto’s impressive set. 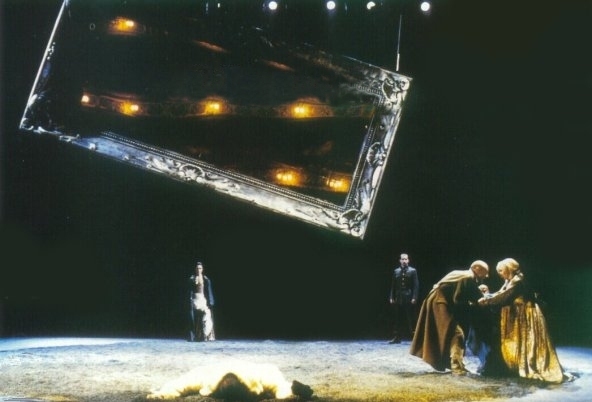 In the opening scene the vast mirror lies face down on the stage, covered by a large quantity of grey sand, and then rises to a height of 2m allowing the actors to appear from a trap door underneath it. Once the actors are on stage the mirror tips backwards allowing the sand to cascade from the back, creating an attractive rain-like effect. 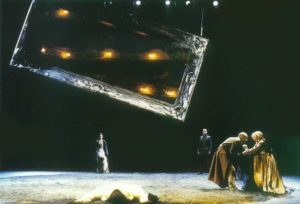 During the rest of the performance the mirror was required to move swiftly and smoothly through additional sequences before finally returning to the stage at the close of the final act. Scenery fabricators Streeter & Jessel were awarded the contract to construct the flying mirror, and, in conjunction with servo specialists Motor Technology of Stockport a sophisticated automation system was developed to meet the requirements of the set designer. The system was required to achieve repeatable positional accuracy of 4mm over a 9m drop, and at all times the safety of the actors on stage had to be given utmost priority. A steel gantry was constructed that could be rigged above the stage and the mirror was suspended by bowden cables and winched into a range of positions using 6 axes of servo drive motion control. 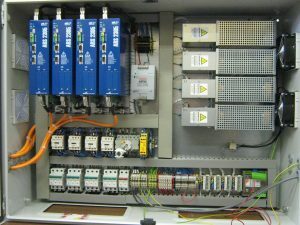 Motor Technology supplied the drives, motors, worm gear boxes, and a user interface that was custom-designed for the application. 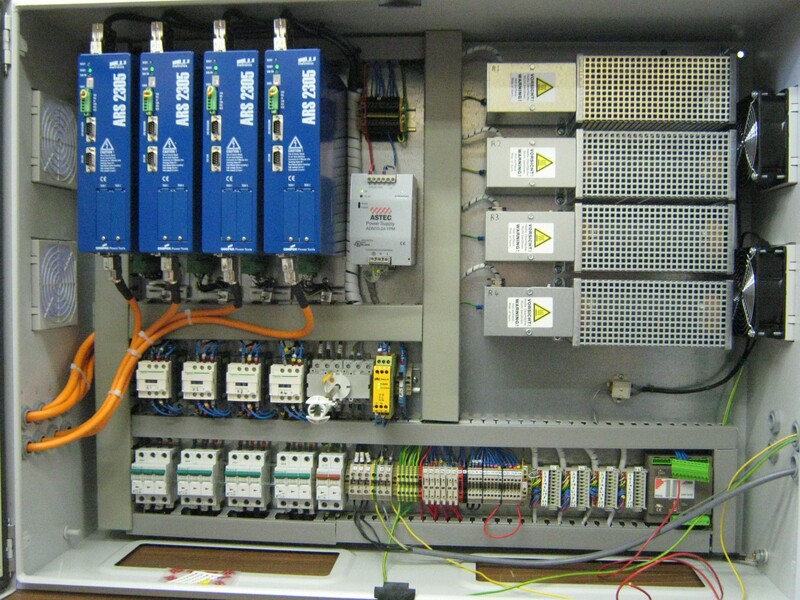 The system architecture was developed using Eurotherm’s new 637 series intelligent servo drives and utilizing the local fieldbus easy-serial RS485. The user-interface, developed by Motor Technology, allowed fast positional updates for each axis, comprehensive error handling, and an intuitive operational environment which could be used to develop a performance program complete with stage cues. Any system, bus errors or e-stops would disable the drives and cut off the power supply activating the motors’ internal brakes. Orders were placed with Motor Technology during the first week of July and the design, construction and installation was completed by 6 August 1998 in time for the start of the festival.